As the old song goes, everything old is new again. 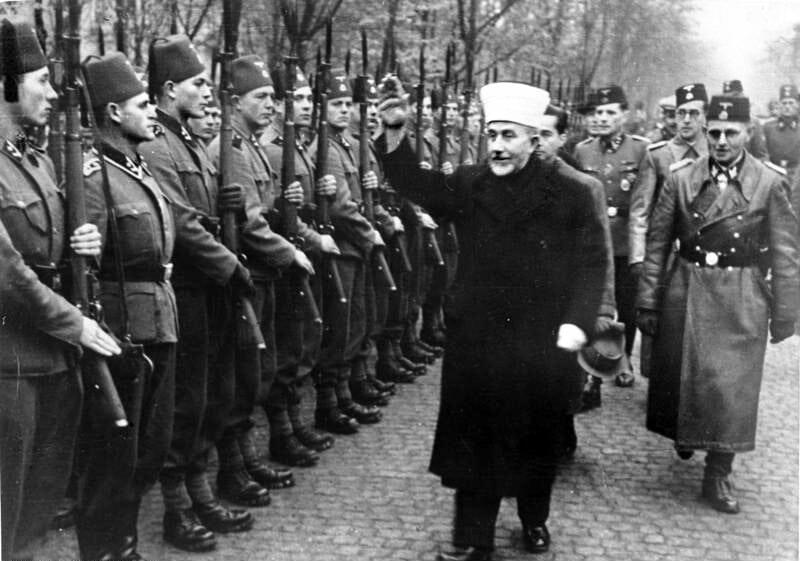 With the blessings of the Grand Mufti of Jerusalem Amin al-Husseini, the Waffen-Schutzstaffel activated an entire mountain infantry division comprised of Muslims during World War II to fight for Germany. Germany’s Chief Den mother Defence Minister Ursula von der Leyen. It may have been on purpose back then, but now der Deutsch Bundeswehr has very possibly Schitzen en zeir Lederhosen over the latest report that more than 60 ISIS terrorists have managed to stealth their way in the German Armed Forces. As reported by The Telegraph (of London, England), the German military is calling for tighter security and background checks on all recruits. As it turns out, Germany’s über-liberal immigration policies have allowed the conditions to be prime for jihadist infiltration. Germany formally discontinued compulsory military service on July 1, 2011 as part of a comprehensive reform aimed at creating a smaller and more agile army of about 185,000 professional soldiers. But during its first twelve months of existence, Germany’s new all-volunteer army has been unable to meet its recruiting goals, and military manpower prospects look dim for the foreseeable future. In a desperate search for soldiers, German military officials have now identified Germany’s Muslim Turkish population (3.5 million and counting) as a new source for potential recruits. Previous articleHuma splits from Weiner; Was marriage part of something else?